FYI, job-seekers: Career experts have identified the most Boomer-friendly Fortune 500 companies. Looking for a new job? You might want to start by sending your resume to one of these Fortune 500 companies. By analyzing public records and employer surveys, Retirementjobs.com found that more than a third of the workers at each of these top companies are over 50. “If a company has a large proportion of its employees in your demographic, you’re less likely to experience the age-bias that so many Boomers fear in their job search,” says Tim Driver, CEO of Retirementjobs.com. Plus, if you do land a job at one of these companies, there’s a high likelihood that you’ll be comfortable there. “These are employers that clearly understand and value and benefits of mature workers,” says Driver. 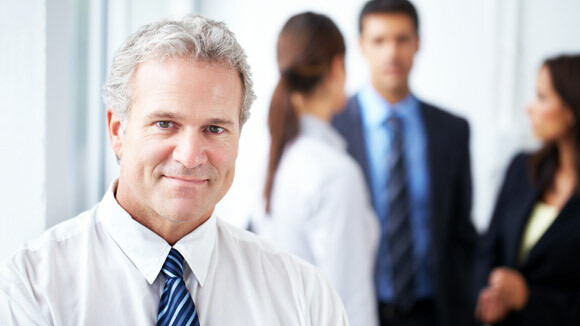 Retirementjobs.com also has a program that earmarks close to 100 employers as senior-friendly. “Our Certified-Age Friendly Employers are companies that are proactively trying to recruit or retain employees over 50,” says Driver. Do streamline your resume. Too much experience can freak out people, so only highlight the experience that’s relevant to this particular job. Or, simply keep your resume to the last 10 to 15 years of experience. Don’t include dates for your high school and college degrees. “At first glance, it can be a turn-off for an employer,” says Doyle. Likewise, don’t advertise if you’ve been out of work for a long time. If there’s a hole in your resume, address it in your cover letter by quickly explaining that you were retired or semi-retired but are excited to get back to work. Do target your letter to the job posting. Don’t just send the same cover letter and resume out to each job you are applying for. Take the time to give bulleted points in the cover letter as to why you’re a good candidate for this particular position. Sure, it’s time consuming, but it makes you standout. Don’t say you use software or have skills that are obsolete. If you don’t know what software is obsolete, it’s time for a tech skills tune up. Many local libraries offer free classes, or sign up for a course at a community college. Do network. Once you’ve applied for a position, use career-based social media such as LinkedIn to find people in your circle who might be able to recommend you for the job. Do be positive. Go in with energy and enthusiasm with a willingness to work with all different age groups. And if you are active in hobbies or athletics, be sure to mention it. “It fights against the idea that older workers are tired and unproductive,” says Doyle.